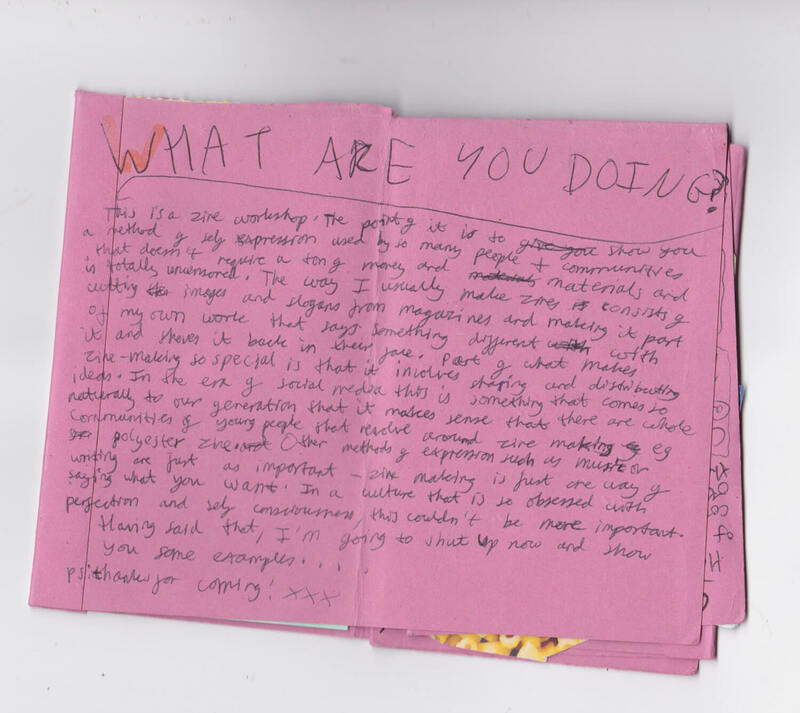 At the launch of Turf’s Container News youth zine project, Pinkxbrains led a mini zine-making workshop. 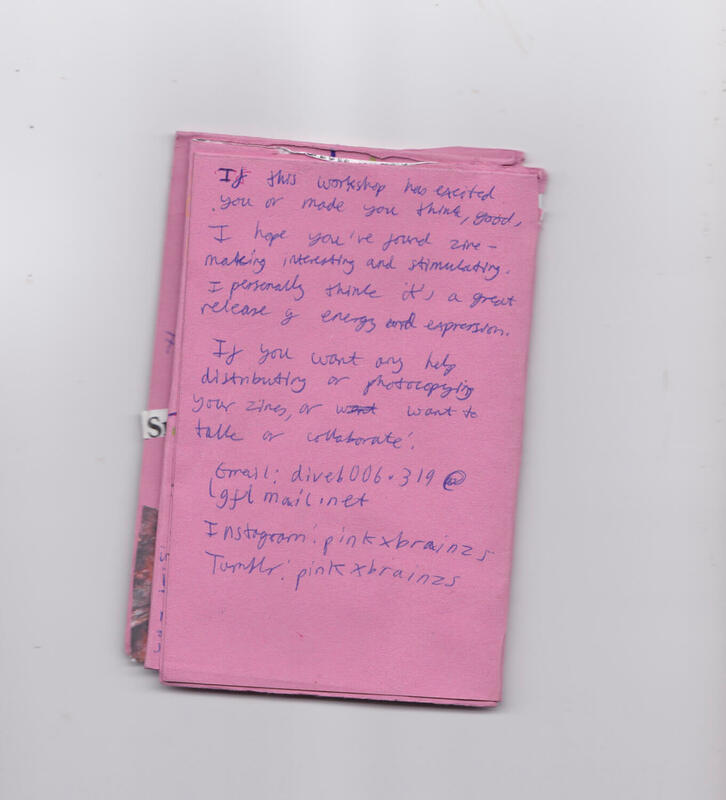 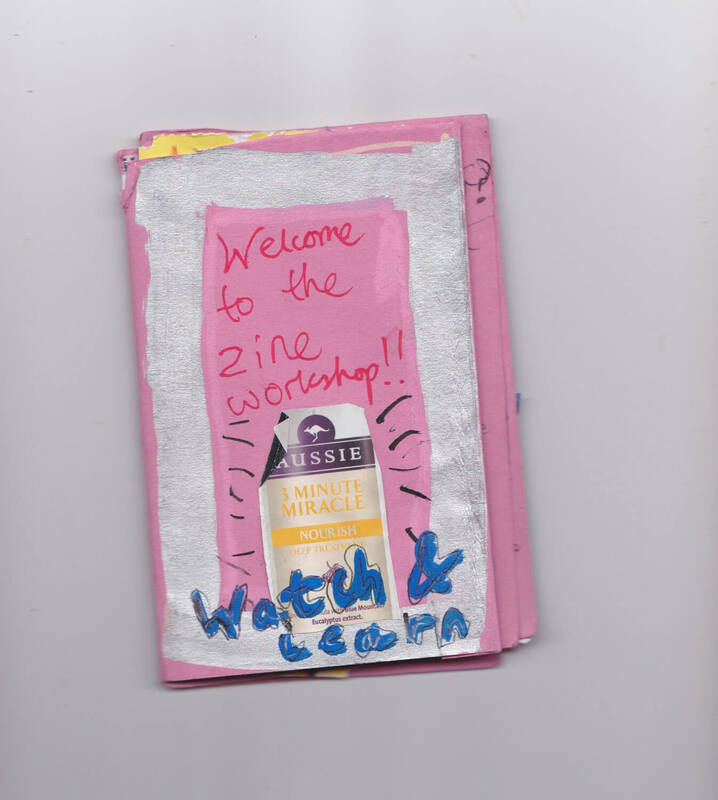 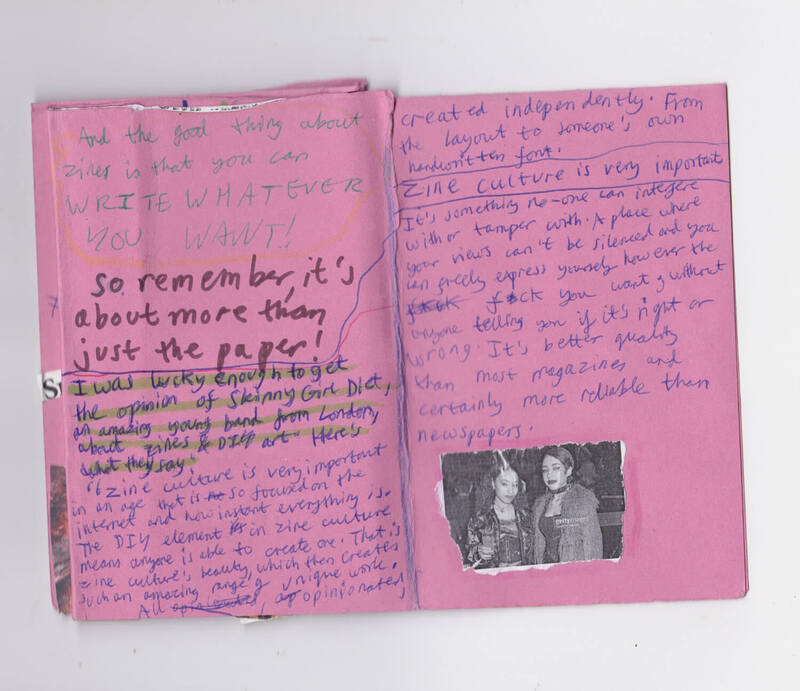 The ‘Zine About Zines’ posted here was used as part of that workshop. 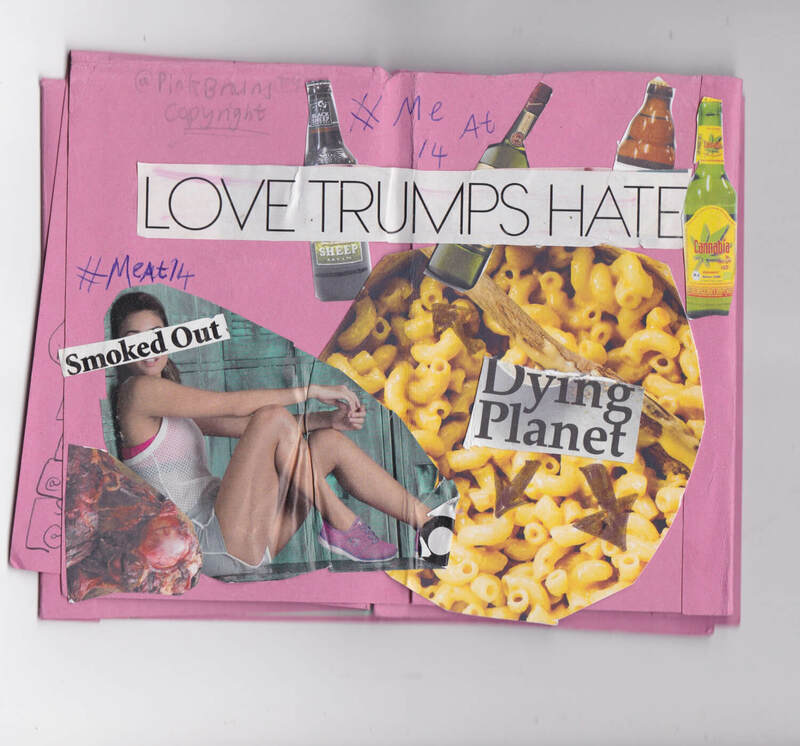 Drop into Turf and pick up your free copy of Container News to see more work from Pinkxbrains and other talented young things from Croydon.